The wheel turns and autumn beckons. 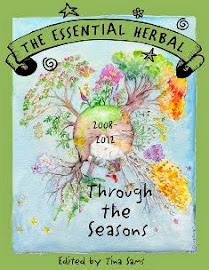 The herbs of summer are starting to lag a bit, and the evenings are a bit chilly. My Calendula flowers are going to seed almost faster than I can gather them. 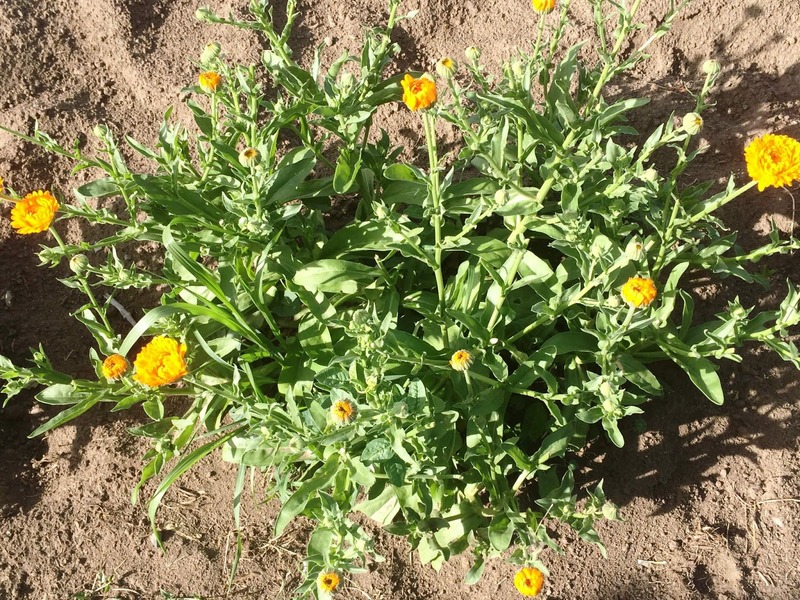 Calendula mostly self-sows, but for reasons unknown, that process has twice gone awry. I freeze some seeds in a small canning jar; just to be sure I have them. If this is the first year you have grown Calendula you may be surprised by the appearance of the seeds. The seeds are very hard and shaped like little crescent moons or worm larvae. Be assured, they are only seeds! 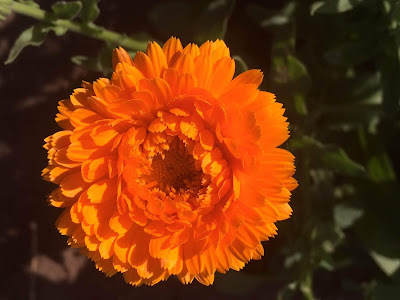 If I could only grow one herb, it would have to be Calendula. 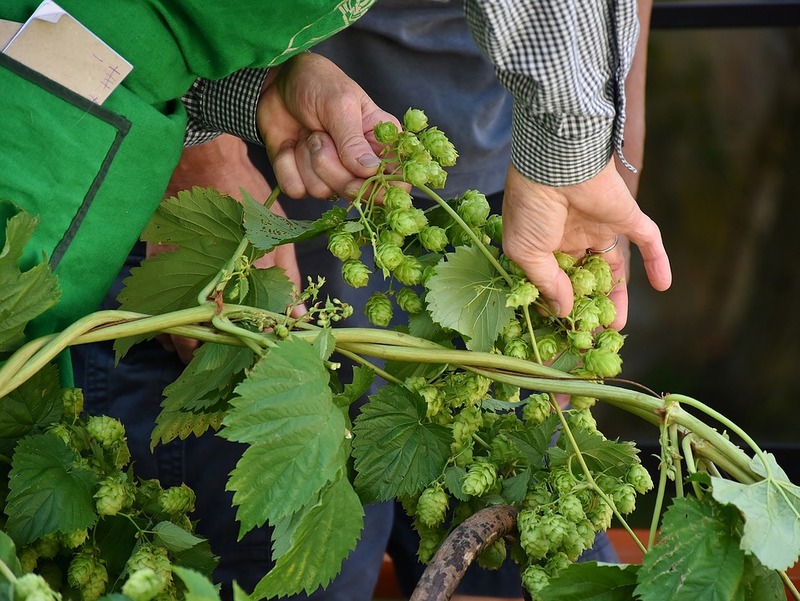 A more soothing, useful plant is hard to imagine. Oil infusions of the sweet, spicy, resinous flowers lend a special magic to soap and other body-care formulas. Herbalists and grannies through the centuries used Calendula as a healing remedy for wounds and other skin conditions. I often use Calendula tea, also. It is anti-inflammatory, a wound wash, soothing to conjunctivitis as an eye-wash, fights infection, hastens healing and is soothing to minor burns or scalds. Calendula oil softens the skin, soothes eczema and helps to keep the skin nourished and supple. Calendula makes a beautiful, soothing salve for chapped hands, nicks or scrapes. You should have plenty of time to make infused Calendula oil for this soap recipe, using one of the following methods. 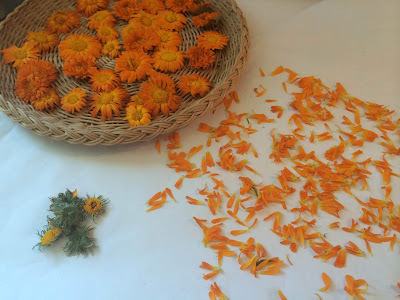 Fill any size jar half full of dried or semi-dry Calendula petals or chopped flower heads. Fill the jar with olive oil to within 2 inches of the top of the jar. The flowers can expand once they become saturated with the oil, so leave a little headspace and give it a good stir. Cover the top of the jar with a double layer square of cheesecloth or a piece of an old t-shirt, and apply the screw band (or a rubber band) over that. 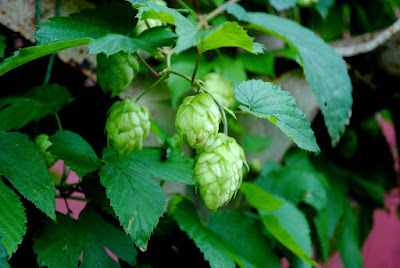 Place in a sunny, south-facing windowsill for at least 6 weeks. Stir daily. Place dried Calendula flower heads or petals in a crock-pot and cover them with olive oil. I suggest you use the lowest heat setting on your crock-pot and keep a close eye on it. I prefer keeping the temperature in a range of 110-120 degrees for about 10 hours. If the oil gets too hot the flowers will get crispy. That seems to me to work against the idea of preserving their wonderful, delicate properties. 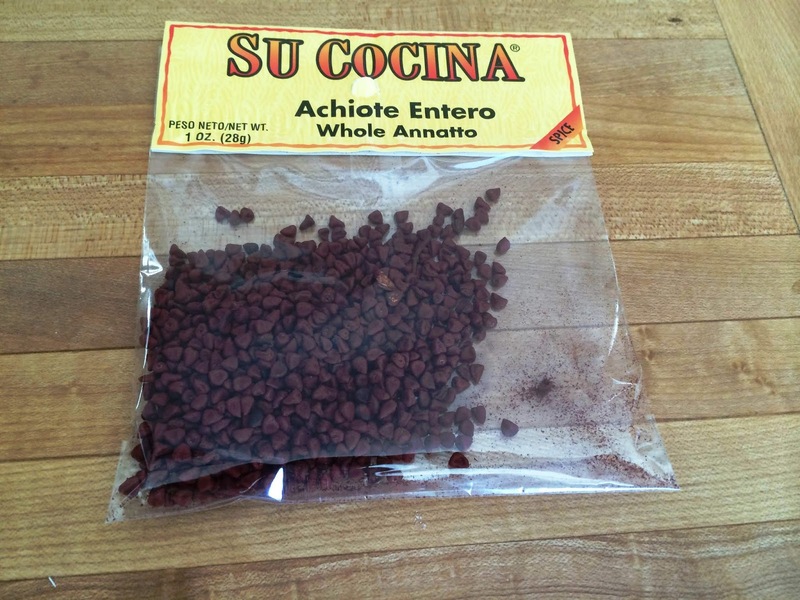 Annatto Seed (Achiote Seed) is a natural colorant that can give your soap a gorgeous yellow-orange color, just like cheese or butter. You can probably find it in the Latino foods section of your supermarket. For a light to medium yellow soap, heat 2 TBSP. Annatto Seed in 1 ½ oz Olive oil on stove or in microwave. 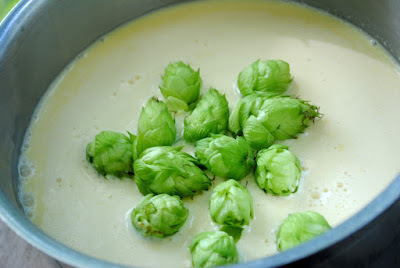 Add to fats and oils when melting them, or add at trace. For some reason, Annatto oil turns darker in soap that has gelled than in soap that hasn’t. See attached photo examples. The soap cubes did not gel. They are a really pretty, clear yellow, but not as dark or intense as the log mold. Keep in mind that using too much Annatto will cause the color of the soap to bleed out into the lather as the soap is used. TO FURTHER INTENSIFY COLOR: Add 2 TBSP. Annatto seed to the lye solution just after dissolving lye crystals to water. 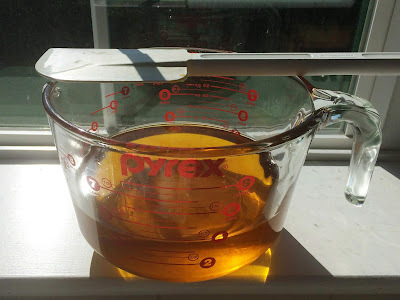 (Do this in addition to adding Annatto infused oil ) Allow lye solution to cool as usual, and try not to panic when you see how murky and brown the solution looks. It will be fine. Strain the annatto seeds off as you are adding the lye solution to the fats and oils. Using both the oil and the lye water infusion will make your soap a rich orange-yellow. 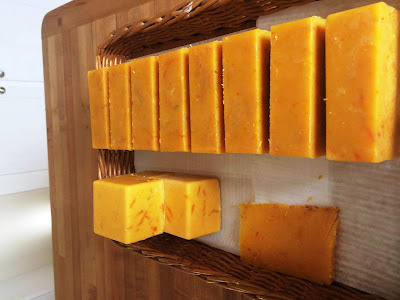 This cold process soap recipe makes approximately 66 ounces of soap. If you are using a wooden flat or log mold, line it with freezer paper and cut an extra sheet of freezer paper to fit the inside dimensions of your flat mold. You’ll apply it shiny side down onto the surface of the poured soap before you place the wooden lid on it. Locate an old towel or blanket you can use to insulate the mold. If using a silicone mold lightly spray it with Pam spray and set aside. 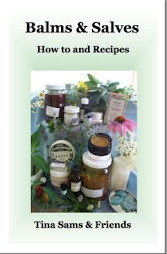 Place all tools and ingredients in your soap making area. Cut freezer paper to place on top of the filled, silicone mold to prevent the accumulation of white soap ash on top of the poured soaps. Wearing chemical proof gloves and face protection, weigh the Sodium Hydroxide granules. Also weigh the distilled water. Using a long handled stainless spoon, slowly add the Sodium Hydroxide granules to the distilled water, and give it a few quick stirs. Vapors will rise briefly as the water heats up. (I leave the area for a few minutes to allow the vapors to clear) Carefully secure the lid to the pitcher. Allow the Lye solution to stand an hour or two to cool down before using it. OPTIONAL: If using a silicone mold, stir 1 T. of Sodium Lactate into lye solution. 24 oz Calendulated Olive oil (solar or crock pot method) Plus 1 oz oil, see below! Place the fats and oils into the soap kettle. Heat in microwave in 25-second intervals. It will get quite dark. 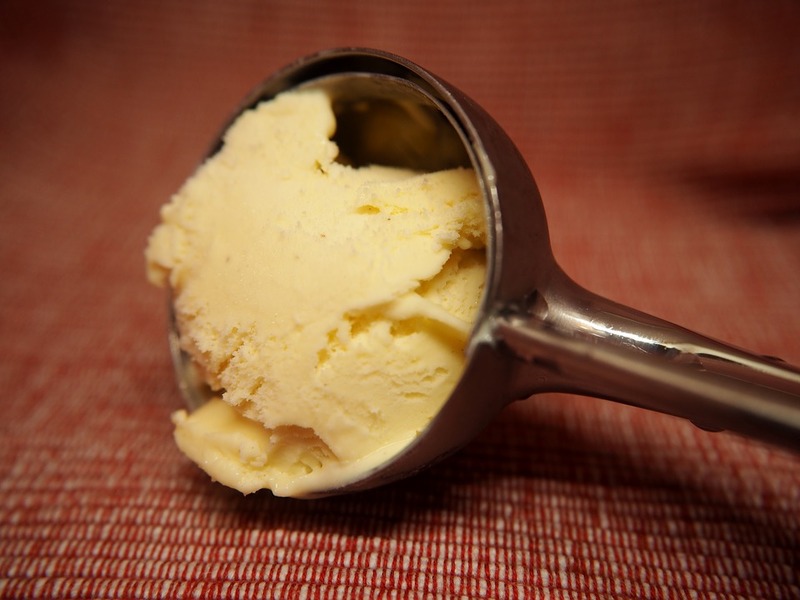 Add to melting fats or at trace. ½ cup of semi-dry Calendula petals pulled off the flower heads and set aside. THERE ARE NO ADDED ESSENTIAL OILS IN THIS RECIPE. Wearing face and neck protection, and chemical proof rubber gloves, carefully remove the lid of the lye solution pitcher. I place the pitcher on a damp washcloth to stabilize the base as I pry off the lid to avoid lye spills. You will use the stick mixer as a manual-stirring tool, first, while adding the lye solution to the fats and oils (Don’t plug it in, yet!). Rest the top of the pitcher of lye solution lightly on the edge of the crock-pot. Add the lye solution in a steady, thin stream, stirring manually in a constant, gentle, circular motion with your stick mixer until all the Lye solution has been added. Plug in the stick mixer and turn it on, using the low speed setting. Keeping the stick mixer in contact with the bottom of the crock-pot, begin to mix in a figure 8 or circular motion. After about 2 minutes, take your finger off the power button to stop the motor again on the stick mixer. Lift the mixer blade above the surface of the fats and oils, and wave the stick mixer lightly over the surface, testing for “trace” by dragging a drip line through the air just above the surface of the soap. If the drip trail falls back in to the soap, turn the mixer on and continue mixing another minute. Repeat until the drip trail is clearly visible on the surface of the soap batter. The trail will be thin and flat at light “trace,” and will quickly melt back into the liquid soap. Full trace is when the contents of the soap pot thicken to resemble pudding and a very definite, raised glop or trail stays on the surface of the liquid soap, without falling back in) Full trace will work great for this recipe. 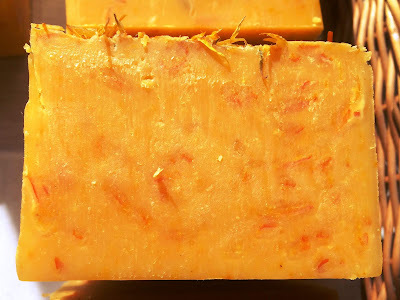 Stir the ½ cup of Calendula petals into the traced soap. Pour soap mixture into your mold. Apply a sheet of freezer paper cut to the exact measurements of the mold, shiny side down, on the surface of the poured soap. The easiest way to do it is to line up one edge of the freezer paper with a short end of the mold, and lower it gradually across the surface of the poured soap, lengthwise, while pressing gently away from you with the straight edge of a ruler or other tool. The purpose is to achieve full surface contact with the freezer paper, which helps to prevent air pockets or that powdery white soap ash from forming on the surface of your soap. Insulate the mold and/or place mold on electric heating pad to keep soap warm and force gel if you want maximum color in your soap. Gel begins in the center of the soap, and moves outwards to the edges. The process can take about 40-60 minutes once gel begins. A soap that gels will usually be firm enough to slice once it has cooled to room temperature. 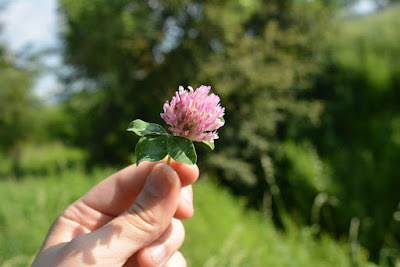 Red Clover (Trifolium Pratense) is a legume, that is in the bean family. An edible short-lived perennial that lasts 2 to 4 years, self seeding and can prosper on it's own. 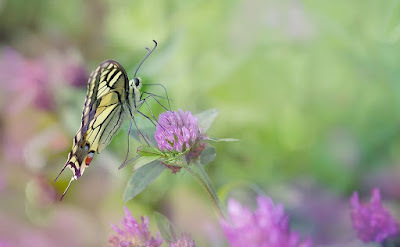 Some flower in early spring, while others flower during summer, but a large enough patch, will flower from spring to summer. 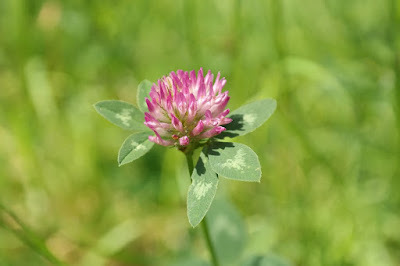 Pretty much thought of as an irritating weed, it often gets mowed over, and thrown in the garbage, but it actually is one of the most amazing medicines you'll find on your property. 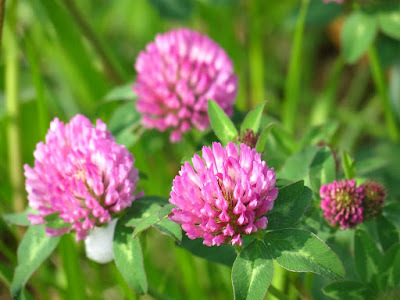 Red clover, has a spherical head ranging from light pink to purple in colour, with up to one hundred and twenty five tubular florets, that when sucked on, release a tender sweetness inside. 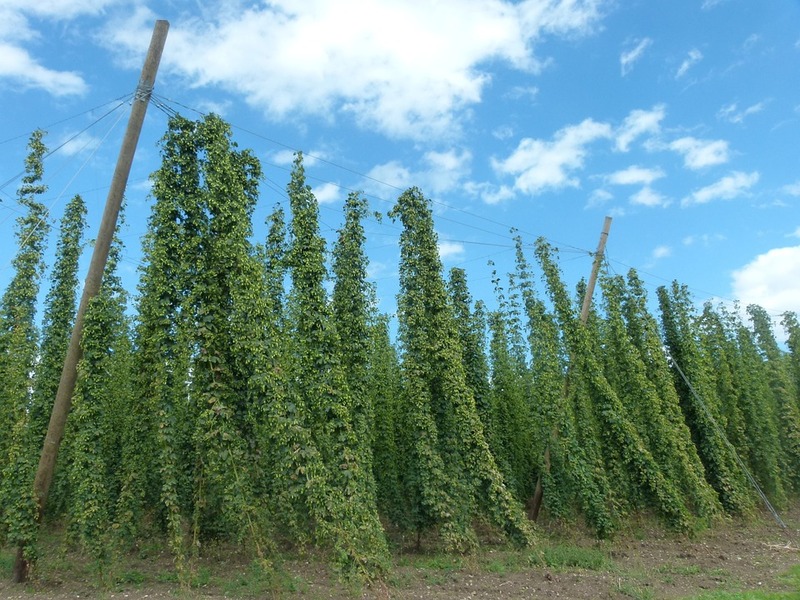 Mostly it grows low to the ground, about ten or so inches, but can grow up to 30 inches in height and has a hairy, hollow stem. Most are adorned with 3 lobed leaves with a white arrow type water mark design on each one. 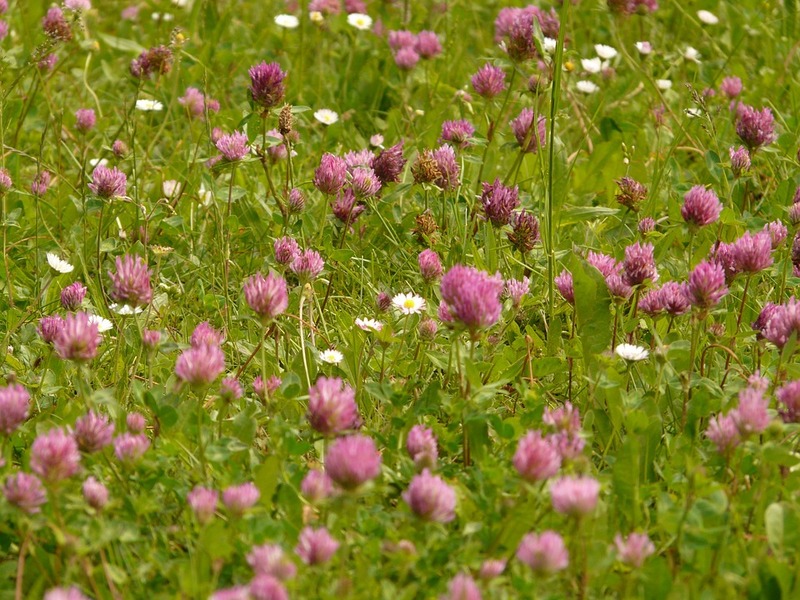 Red clover is one of the richest sources of Biochanin A. Biochanin A is an O- methylated isoflavin, which is a water-soluble chemical that mimics estrogen. The o-methylated chemical is a chemical reaction that when oxidization meets the methane derivative of carbon dioxide, it releases Nitrogen into the soil. It is for this reason that farmers use it to produce better soil and better feed for their animals. 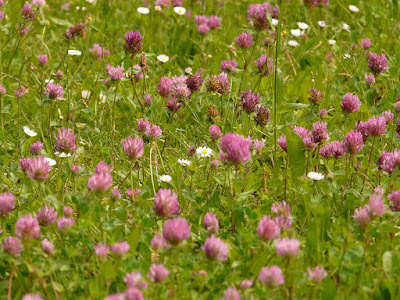 As well as being rich in isoflavones, red clover as a food source is full of calcium, chromium, magnesium, niacin, phosphorus, potassium, thiamine, and vitamin C. It is also a good source of protein at 20%. Since it is one of the highest in isoflavones, it is highly recommended for estrogen-related health conditions in women because it mimics estrogen. Studies show it has been reliable in premenstrual symptoms. relieving breast tenderness, regulating menstrual flow, PMS, and also used in fertility treatments. It can also be taken as preventive measures of estrogen-dependent cancers including uterine and cervical. Studies have shown , that red clover has stopped cancerous growth from continuing and there is evidence that show cancer tumors have shrunk to a precancerous state, showing no sign of cancer at all. Being high also in magnesium, and a source of calcium, it can also be taken as preventive measures for osteoarthritis. Red clover has been known to slow both bone loss and bone mineral density and pre and peri - menopausal women and may have a direct effect of preventing the breakdown of existing bone. Although it seems to be great in preventative care both before and during menopause, it shows no signs of improvements after menopause or for men. However in recent studies the American menopausal society over an 8 month period, showed significant reduction in hot flashes for menopausal women. At 10 months, at 50 milligram doses daily, raised High Density Lipoprotein, (HDL) which is the good kind of cholesterol by 28%,which means better heart protection. Another trial showed 80 milligrams taken daily, improved elasticity of arteries by 23%. 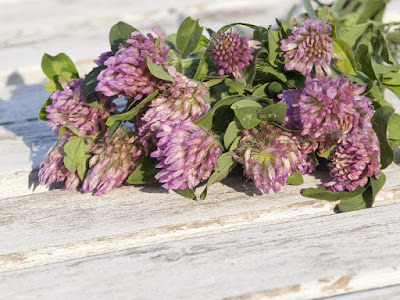 In males, red clover has been found to shrink benign prostate growths, that otherwise would press against the bladder making urination impossible. Once the benign tumor has shrunk, it no longer presses against the bladder and allows the kidneys and bladder to return to normal function. Since it has niacin it would be a good plant for the circulatory system, and can be used with other herbs such as burdock root and dandelion root, to clean the blood stream. 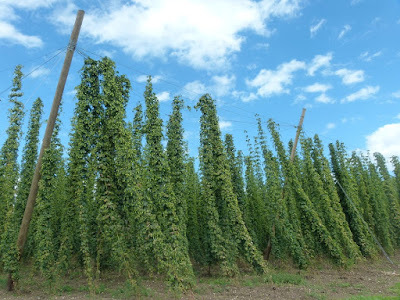 This can be done as a decoction, gathering the roots in the spring or fall when is not in bloom and all the energy is in the root systems. 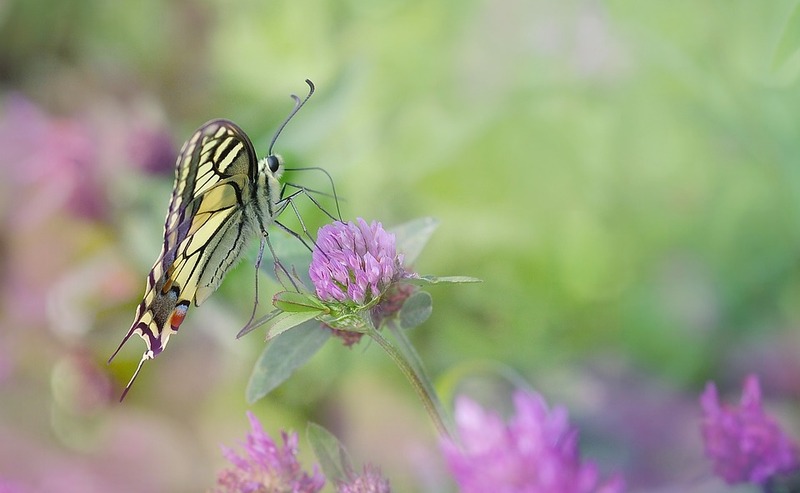 Clover works well with mullein, licorice, peppermint and marshmallow root, as a strong decoction for lung/chest issues, or use flower heads as a light herbal tea for preventative measures. Personally my favorite use for red clover, is topical for skin creams and medicinal balms, for all kinds of skin conditions ranging from cuts, and rashes to eczema. I like to gather the flower heads on a nice sunny morning after the dew has dried, so that they are fresh and dry. I place them in a mason jar almost to the rim, and then pour a stable oil like olive oil over them. 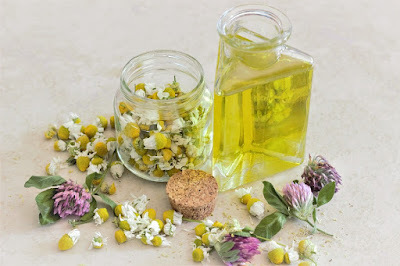 I cap the jar then give it a few good shakes to make sure the oil has gone through all the flowers and release all air bubbles , then sit in a cool dry place for 3 to 6 weeks shaking daily. You will have a nice green sweet smelling oil that you can use neat, that is directly on skin. You can use in a face serum or as I mentioned before, in a medicinal balm for cuts and swelling. 1 cup of red clover head infused oil. 2-4 ounces of wax, your choice depending on how soft or hard you want it. 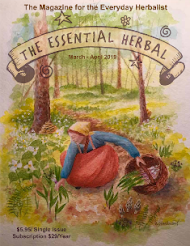 You can play with the oils and make a multi infusion of lavender heads, calendula flowers, plantain, and chickweed if you wish to strengthen the medicinal qualities, but sometimes simplicity can be just as good. 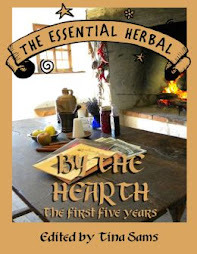 You can also add essential oils once it cools so as not to burn off the medicinal qualities of the oils. 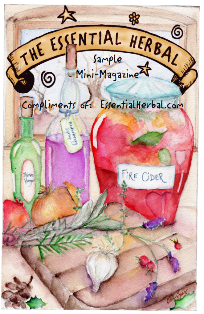 Essential oils like lavender,chamomile, tea tree, would be good for anti-microbial purposes. If you wish to make a face oil, I would suggest straining the infusion, then adding essential oils like Rose, Bergamot, Geranium, to aid with skin, keeping away from eyes as only certain oils can be used in that area only. If you are going to use it specifically for an eye serum, then use it with no essential oils at all. You could even add either infused oils to enrich a face oil or vitamin e, Rosa Mosquita would be nice with this oil at no more than a 2-5% dilution. Remember, essential oils should be used at approximately 20 drops for 15 milliliter's of carrier oil, so experiment, and most of all have fun.